The Marxist view of society starts with questions of power, such as: who holds power, how, and to what end? In class societies, these questions focus on issues of ownership, since ownership determines who has the power to decide what happens with land, banks, mines, workshops, factories, ports, roads and the other “means of production,” or the instruments through which human labor is transformed into consumable products or services. Marx and Engels divided capitalist society chiefly into two classes: the bourgeoisie and the proletarians, words they borrowed from the social struggles of Europe spanning centuries before their own pens reached their notebooks. The bourgeoisie is the class that owns the means of production: the shopkeepers, the bankers and industrialists who profit solely off of their ownership of property. The proletariat, on the other hand, owns only their labor-power, which they are forced to sell to survive. In other words, proletarians—workers—live by working, whereas the bourgeoisie lives through its ownership of the means of production and the products or services workers make. In essence, the dividing line between the bourgeoisie and the proletariat is exploitation. While the terms “bourgeoisie” and “proletariat” are somewhat antiquated and have generally been replaced by the terms “capitalist class” and “working class,” the fundamentals of the Marxist analysis remain true today across the globe. 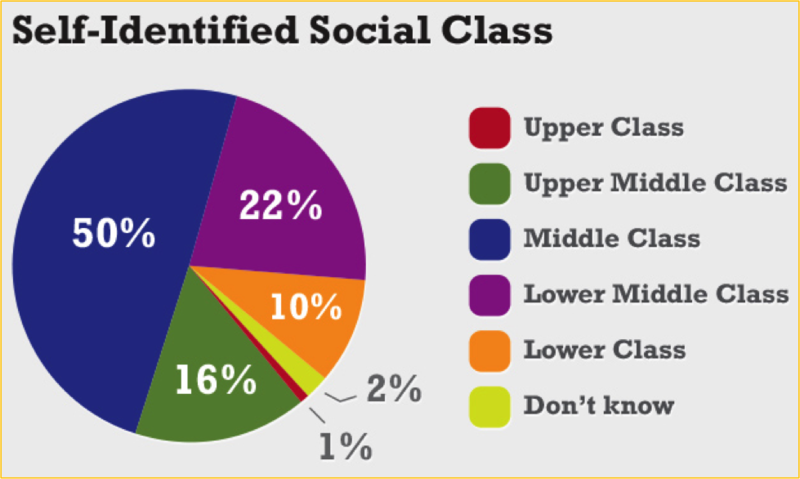 Most references to class do not use the Marxist rubric and instead divide society into “lower,” “middle” and “upper” classes. Though some may use “lower class” and “working class” interchangeably, this is not a nod to the Marxist outlook but instead a bashful recognition the system’s crass, disdainful and condescending implications regarding poor and working people. The fundamental difference between this 3-part class system and the Marxist understanding of class is that the 3-part division is based on differences in wealth whereas the Marxist understanding recognizes divisions along the lines of ownership and thus power. There are sometimes immense differences in wealth between different segments of the working class and also between segments of the capitalist class. While it is true, for example, that a capitalist’s ownership of the means of production is the reason for the capitalist class’ immense wealth, not all capitalists generate the obscene riches of their counterparts. Members of the petit bourgeoisie (small shop owners, restauranteurs and other small capitalists) do not often become millionaires or billionaires like their bourgeois counterparts despite the fact of their ownership of some of the means of production. Likewise, some doctors, lawyers and other “white collar” workers sometimes collect relatively high incomes that dwarf even those of some capitalists—despite the fact that they do not derive income from ownership. The distinction between the 3-class model and the Marxist understanding is not semantic or trivial, but rather has dramatic implications not just in terms of how we understand society, but more importantly in terms of the prospects and mechanisms of social change and revolution. Communists understand the difference between classes on the basis of power, that capitalists derive their income by exploiting workers and essentially are a parasitic force. Yet if class differences come down to differences of income or net worth, simply redistributing wealth from the wealthy is the best-possible scenario for the establishment of socialism. Taken to its logical extreme, progressive taxation or outright expropriation and redistribution of wealth would be sufficient to establish socialism. In other words, there is no room to understand and put into practice the seizure of power by working people by the transfer of ownership from a few billionaires’ hands to the hands of society itself—to the working masses in the 3-class model. While expropriations of wealth have taken place in some socialist societies, social revolutions do not come down to simple redistributions of wealth but transfers of power between classes. More immediately, the 3-class model positively misdirects understanding class itself, making it impossible to recognize and analyze class society. It thus makes revolutionary action impossible by obscuring people’s objective, structural relationship to a society’s economic activity. If the essence of class comes down to wealth, then socially agreed-upon expressions of wealth such as appearance, manner of speaking and even table manners can be components of class background. Speaking “proper” English or wearing fashionable clothing—while indicating nothing whatsoever about a person’s relationship to the means of production—is a definite marker of class in the 3-part class system. The practical implications of mis-identifying class, class relations and expressions of class rule are significant. It is not for nothing that the 3-class model dominates popular discussions of class, manifesting in textbooks, on the news and in politicians’ speeches: spreading the idea that class simply comes down to wealth obscures the reasons behind the capitalist class’ wealth and thus implies “class mobility”—the idea that hard work, dedication and education can allow someone to rise through class ranks. Yet, working people have grown poorer in the past 40 years due to structural shifts in capitalism, further concentrating wealth in the hands of the already-rich. The communist solution: fight the prevailing ideas about class and organize on positive, openly working class basis, never shying away from the struggle for working people’s power. Correctly articulating socialism as a society where workers hold power and wield it in working people’s interests therefore requires correctly understanding class. Building a revolutionary movement consequently requires agitation against the idea that society is made up of classes differentiated only by wealth, not one divided into exploiter and exploited classes. 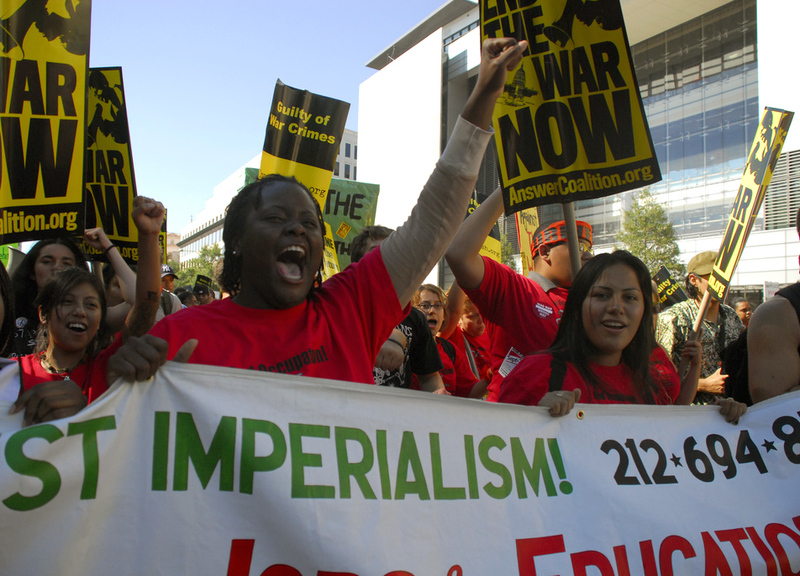 This is what Karl Marx and other communist mean by “raising class consciousness:” raising working people’s awareness of our position in class society and organizing ourselves as workers and in the interests of the working class, such as organizing workers into unions and forming, consolidating and steeling a mass revolutionary party. Such practical examples are what Marx and Engels meant when they wrote, “The immediate aim of the Communists is… [the] formation of the proletariat into a class” in The Communist Manifesto. Organizing on the basis of poor, working and oppressed people’s unity—organizing the working class as a class—is basis by which exploited and oppressed people’s power is expressed with maximum force. As compared with other frameworks of organization an analysis, organizing on the basis of class is the one most closely tied with material conditions, or objective relations between people and between people and the material and natural worlds. Put another way, it is a scientific basis of organization. There is a stereotype aimed at slandering communists which holds that we seek only to organize on the lines of class, ignoring the other ways in which people experience oppression. 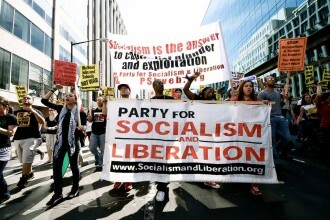 This assertion is misleading in two key ways: firstly, it assumes that the working class is an exclusionary category which leaves out women and gender minorities, nationally oppressed peoples, LGBTQ people, the disabled, and all identities; secondly, it implies that communists seek to gloss over differences between people and focus on class to the point of neglecting those other, specific forms of oppression. Properly approaching the question of organizing the working class as a class requires first answering, “What is the working class?” As Marx and Engels defined it, class is strictly an objective relation between people and the means of production. It can be reduced down to whether or not a given individual owns some of the means of production or not, hence why it is an objective measure. Because the vast majority of people do not own any of the means of production, the vast majority of people are workers. The size of the working class by that objective measure is therefore enormous, encompassing the vast majority of the world’s population today. The working class is a dynamic and inclusive category. The working class is not and cannot be homogeneous. It is made up of people of many nationalities, genders, sexual orientations, gender identities, gender expressions, ages, income levels, physical dis/abilities and so on. Contrary to the anti-communist slander, organizing the working class means integrating anti-bigotry as a vital task of any revolutionary movement. Organizing the working class as a class means overcoming bigotry, hatred and segregation and in their place forging unshakeable bonds of unity and solidarity. Empowering oppressed people means recognizing and actively reversing historic and ongoing oppression and injustice in actual fact and through struggle. It also means building revolutionary cadre who represent every section of the working class in all its diverse expressions. In The Communist Manifesto, Marx and Engels elaborated the next two tasks of communists as the “overthrow of the bourgeois supremacy” and the “conquest of political power by the proletariat.” While there are obvious differences between what those tasks meant when they wrote these words into the Communist Manifesto and today, the tasks remain the same. Put plainly, our task as revolutionary socialists and communists today remains to organize the working class as a class, to overthrow the capitalist class and replace their rule with that of working people. Hence, the questions facing the movement of poor, working, and oppressed people remain focused around the issue of power. While in general the working class’ greatest weakness is its relationship to the means of production—lack of ownership and thus its general poverty—that weakness is simultaneously our greatest strength. Without workers, modern industrial production is impossible. Moreover, industrial advances, though destructive and exploitative under capitalism, have enabled sustained material surpluses for the first time in human history. The capitalist class was once a revolutionary class since it revolutionized the then-feudal relations of production, made industrial production the norm, and thereby made great material surpluses possible. 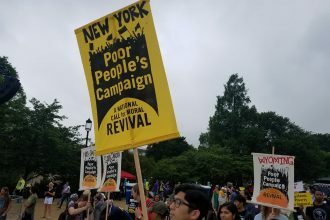 Today, the capitalist class plays a conservative and reactionary role, seeking to roll back much of the progress poor, working, and oppressed people have won under capitalism, including social services, anti-trust and anti-monopoly laws, the 8-hour day and 40-hour week, as well as the right to form a union. Moreover, several important structural features of capitalism tie the capitalist class to unconscionable profiteering at people’s sake, even risking the destruction of humankind itself. Intellectual property is one such example: contrary to the tired arguments of capitalism’s apologists, technological advancement under capitalism is reaching major impasses decreasingly because of actual scientific hurdles, and increasingly because of profit’s role in research. Perhaps the most well-known example is how little investment goes into researching cures to cures for cancer in proportion to the number of lives lost to cancer. Instead, pharmaceutical companies are happy to profit off of long-term treatments rather than cures; patients seeking treatments are “returning customers” rather than “one-time customers” like those who can access cures. Meanwhile, prices of medications undergo absurd mark-ups thanks to drug companies’ ability to monopolize certain drugs and thus charge whatever they decide is most profitable. Life-saving treatments and medications thus are ransomed off to only those who can afford to pay. Today the capitalist class’ reactionary and barbarous role in society is most evident in its refusal to make unprofitable-but-necessary investments, especially into renewable and sustainable energy as a catastrophic climate crisis dawns. Coal, petrochemical, shipping, refining and automotive industries all have a tremendous financial incentive to maintain the current fossil fuel-based energy economy. In fact, any transition to sustainable energy whose scale matches the magnitude of the climate crisis would outright eliminate the majority of the energy industry in operation today and require a revolutionary restructuring of transportation, shipping, power-production and agricultural industry. Even if such a restructuring were possible using profit motives—a dubious proposition at best—the timeframe required for such a change is unthinkable given the anarchy of capitalist production, which is unplanned by virtue of its reliance on markets. Revolutionizing the economy to fit the needs of the climate requires not just swift and comprehensive transition to sustainable energy production, but also active reduction of atmospheric greenhouse gasses—something from which it is essentially impossible to derive profit and thus makes capitalist investors wholly uninterested. Capitalism’s inability to meet the needs of people and the planet transform capitalism into a system that is no longer a progressive and revolutionary social system, but one which is slowing down and even reversing human progress. In face of the looming climate disaster and the massively profitable modern war drive, humanity’s existence itself comes under threat thanks to capitalism. Yet, thanks to the same advances of industrial production, the working class fills the decisive role in production today. Workers have always been a prerequisite for industrial production, but today workers do not need capitalists to engage in production. Technological advancement has always been primarily accomplished by worker-researchers at universities, not by entrepreneurs. Even those innovations from the private sector come not from small capitalist innovators, but most often come from specific research teams staffed by workers. Almost all essential logistical functions are managed by workers. CEO’s no longer play an essential role in production, and while “working,” their work consists primarily in managerial decisions such as investment decisions, branding, cost-cutting measures, etc. Every operational function today performed by capitalists could be performed by workers and done in working people’s interests, rather than simply to further aggrandize shareholders or private capitalists. The power to sell labor is also the power to withhold it, and in this represents the strategic value of striking, work stoppages and slowdowns and other expressions of workers’ power on the job. Mass demonstrations are only possible with poor, working and oppressed people’s participation. The world’s armies are made up of millions of workers who generally are sent to kill other workers in capitalists’ interests under imperialism and are commanded by commissioned officers from the ranks of the capitalist class. Those soldier-workers, too, can go on strike against the capitalist as they did in the Vietnam War, in the Russian Revolution and in the Chinese Revolution.